Try to connect it all. and which direction do I go? A fish swimming to the right (East)? 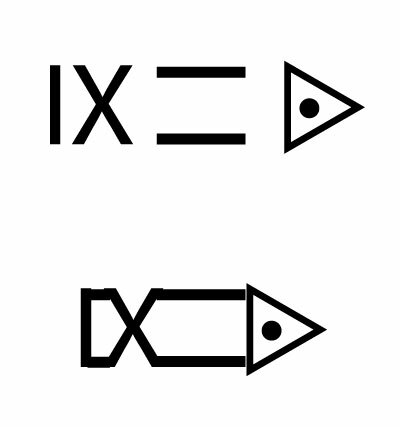 This also matches the clue that the title provides since it take 8 lines and a dot (eye) to create the roman numeral "IX", the equal symbol (=), and the three lines of the "Play" symbol - and of course, the dot. Not the answer you're looking for? Browse other questions tagged visual poetry or ask your own question. What kind of people are inside this building?